Microsoft's hosted Office 365 email is the platform of choice for many organizations. The addition of business services, including email security, makes Office 365 even more attractive for businesses looking to consolidate IT platforms. Many customers, however, find that Microsoft's security capabilities do not meet their full requirements. 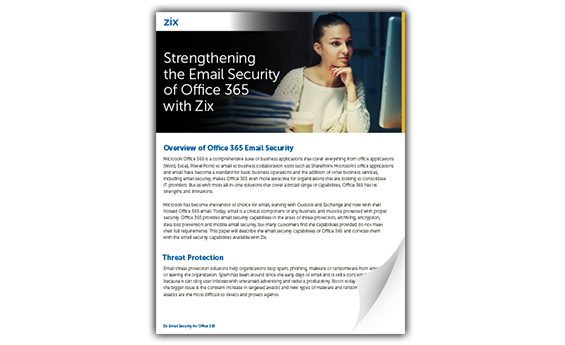 This paper will describe the email security capabilities of Office 365 and contrast them with the email security capabilities available with Zix.